FADILLAH YUSOF: Industry players should capitalise on the secondary demand generated by Malaysia's ETP. 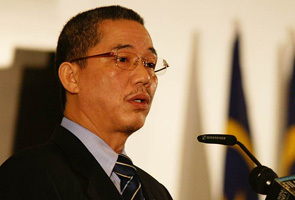 KUALA LUMPUR: The government expects more mega infrastructure and property developments to be launched this year to support the construction sector's growth, Works Minister Datuk Fadillah Yusof said. He said according to the Economic Report 2013/2014 released by the Finance Ministry, the growth in the sector remains firm at 9.6 per cent, led by the civil engineering and residential sub-sectors. "The growth was supported by the progressive completion of many construction works awarded in 2012-2013, particularly for the Klang Valley Mass Rapid Transit line 1," he added. He said this in his speech when opening the 5th Edition of the Asean Mechanical and Electrical Engineering Show 2014 (Asean M&E Show 2014), here today. Fadillah said his ministry has been encouraging and giving full support to any initiatives pertaining to the industry to contribute to the country's development. He urged industry players to capitalise on the secondary demand generated by Malaysia's Economic Transformation Programme (ETP). As such, construction industry practitioners, from projects managers to architects, engineers, quantity surveyors, land surveyors, contractors and suppliers have a pivotal role to play in determining the success of the ETP, he added. The Asean M&E Show this year has seen an expansion of the pavilions to include Singapore, Germany, Taiwan, Thailand, China and South Korea. Some 350 global exhibiting companies from 25 countries are showcasing thousands of new and innovative technology, equipment and machinery related to mechanical and electrical engineering. Is it fair for the rich to use property as investments and drive up prices?